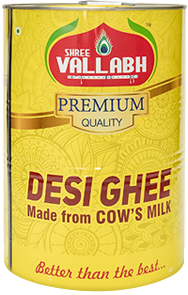 Shree Vallabh Cow Ghee is a premium quality Ghee, full of Vitamin A, D, E and K, not only adds flavor to your foods; but, also keeps you healthy and fit. 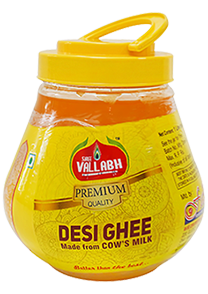 According to ancient Ayurveda, Cow ghee has antibacterial, antifungal, and antiviral properties. 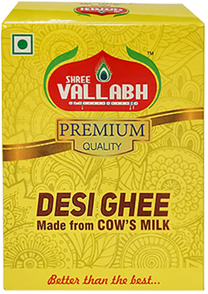 Shree Vallabh Cow Ghee is well- known for its superior quality, original taste and aroma, high nutritional value and essential health benefits.